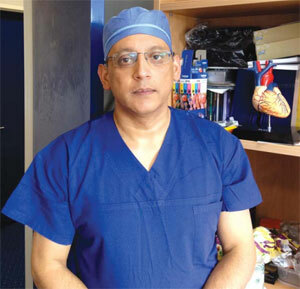 Interview with Kumud Dhital, the world's first surgeon to perform a dead heart transplant. Nepali Times: Your dead heart transplant has been described as a ‘breakthrough’, just how much of it is a standard transplant and which parts are new? Kumud Dhital: The actual transplant procedure in the recipient is the same. The new element is in the way the donor heart was obtained. The majority of conventional organ donors are Brain Dead Donors (BDD). These patients have been confirmed by appropriate tests to have no brain-stem reflexes. The patient is considered legally dead because there is no hope of survival if the patient in this condition is taken off the ventilator. So, the donor is kept on the ventilator, which means that oxygen is being delivered and this is sufficient for the heart to function thereby protecting all other organs (except the brain). The organ retrieval process is therefore very controlled and this pathway remains the preferred route to maximise the number of organs that can be transplanted. A DCD (Donation after Circulatory Death) happens when brain-stem tests cannot be wholly positive due to the presence of some measurable brain function and therefore the patient cannot be deemed to be brain dead. Knowing that there might be no underlying respiratory function the doctors and relatives agree to withdraw support (the ventilator) and see if there is any intrinsic respiratory drive. In some cases the patient continues to breathe and so is returned to the medical unit they were being treated in. Others will stop to breathe. The heart then stops and there is no circulation, nothing flows in the blood vessels. This moment is followed by 2-5 minutes (as per local regulations) of a stand-off period when no intervention can be made. Death is then certified and now the deceased donor with a still heart is rushed to the operating room where we have to hastily open the chest and infuse a solution which protects the heart. This buys sufficient time for us to then put the heart inside a special portable resuscitating machine. The heart usually starts to beat, because it is now receiving blood, oxygen and nutrients. We then travel back to our hospital continuously resuscitating the heart which is beating in the device. Once and if we are satisfied that the heart function is sufficiently good to sustain a body, we prepare the recipient and then proceed with the transplant procedure. The act of taking out a still heart, reanimating it in a machine and then successfully transplanting it inside someone else has not been done before. What are the implications for Nepal, India and South Asia where cardio-vascular diseases are more common than in the rest of the world? The implications are simply that a new pool of donors becomes available for transplantable hearts. Liver, lungs and kidneys from DCDs have been used successfully for some years, but so far not the heart. It means a potential reduced waiting time for those on the transplant wait-list and potentially stop them from dying whilst waiting for a suitable heart. It also allows us to better serve the altruistic wishes of the donor or family to facilitate the retrieval of a maximum number of transplantable organs. I hope this generates more understanding about transplantation and organ donation amongst the public. It should give some weight to expand the number of transplant centres in these countries. Isn’t it better to pay attention to diet and other preventive measures, so such interventions are not needed? Prevention is always better, but many people have inborn, familial reasons for such heart diseases. 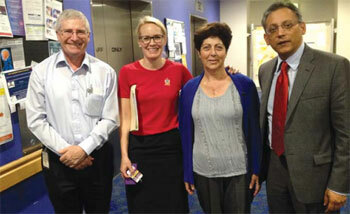 GROUNDBREAKING (right to left): Kumud Dhital with Michelle Gribilas, the first transplant patient, transplant coordinator Angela Smith and cardiologist Peter Macdonald at St Vincent's Hospital in Australia. What are the challenges ahead for transplants, what is the next frontier? That we see more centres take up DCD heart transplantation. That we have better drugs for immunosuppression, that is, better drugs to keep the transplanted organ from disease. That we will over the next decade, see further novel therapies emerging including the ability to print cells and therefore consider man made muscle tissue for repairing the heart. How early in your life did you know that you’d one day be a cardio-thoracic surgeon and perform dead heart transplants? I went into medical school desperately wanting to be a neurosurgeon. However, my aspirations changed immediately on seeing cardiothoracic surgery for the first time in 1994. The challenge of doing DCD heart transplantation came from being inspired by Dr Stephen Large, one of my mentors at Papworth Hospital in Cambridge. I knew that one day I would be doing it. What I had not anticipated was that I would be the first surgeon to do so. Anyone in particular that you credit for inspiring you the most? My late-father Vishnu Prasad Dhital, who told me to have a dream and work hard to realise it. Also, the sheer resilience of our patients with end-stage and disabling heart failure. And the selfless and altruistic wish of the donor and family to donate organs for transplantation so that complete strangers might live longer with a better quality of life. 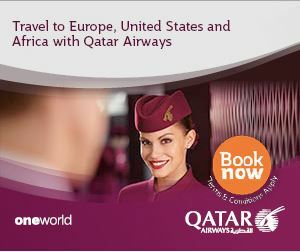 You are an “international Nepali”, how much is Nepal still a part of your life? 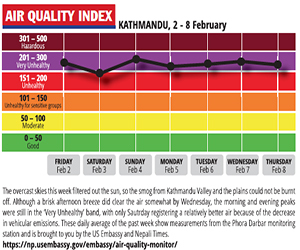 Nepal remains very much part of my personal life. My mother and extended family live in Nepal. I continue to harbour a desire to help Nepal in a practical manner, but the opportunity for that has not materialised to date. I am a little disturbed by all this debate about where I belong. I did hear that an Indian newspaper claimed me. But I must say I have not had a single negative comment out of India. Total strangers from everyday persons to company CEOs have simply said “we are proud of you” and the Indian medical community has been very enthusiastic, and I am being invited to give keynote addresses. Your phone must be ringing off the hook. The response has been quite humbling with good wishes from strangers all over the globe and even the resurrection of long lost friends. I am seriously shell shocked and surprised by the extent of interest in what is an important milestone in heart transplantation, but it is hardly the stuff of miracles. The interest from the Nepali media has been unremitting and I am left wondering why anyone would still be interested after all the hype. I have been praying that you, the media, can direct the interest to some other deserving story in Nepal itself. Fame, after all, is only meant to last 15 minutes.